My daughter is cooler than I am. Or at least groovier. So last Tuesday while I was back in 1899 with the Impressionists, my 3-year-old was up around the 1960’s with Morris Louis. And a bit of a departure for her colour-wise! Such bright summery tones! Up to now she has favoured teal, burgundy, green, and brown. I can’t help but wonder if she was actually painting the colours from the garden that currently has orange day lilies, yellow snapdragons and baby blue eyes in bloom. Before we started painting we were looking at the day lilies and that’s all I see in this painting. 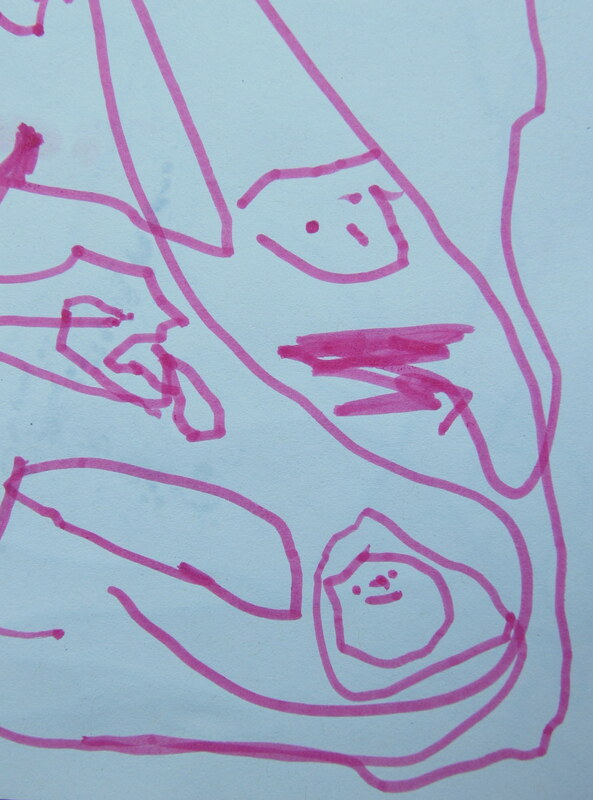 She has started drawing faces with eyes and noses, so you never know. Here is a page from her sketchbook (at left). She tells me the bottom face is her “Yellow Birdie”. 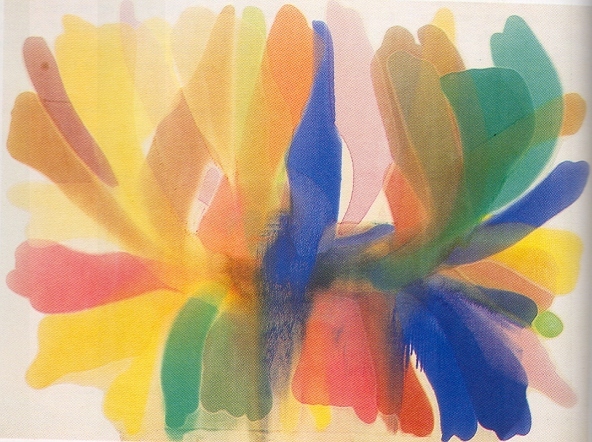 And, just for fun, I’ll leave you with this beautiful work by Morris Louis. ← Painting like it’s 1899…ooohh yeah! I love the painting you used for the top page graphic! 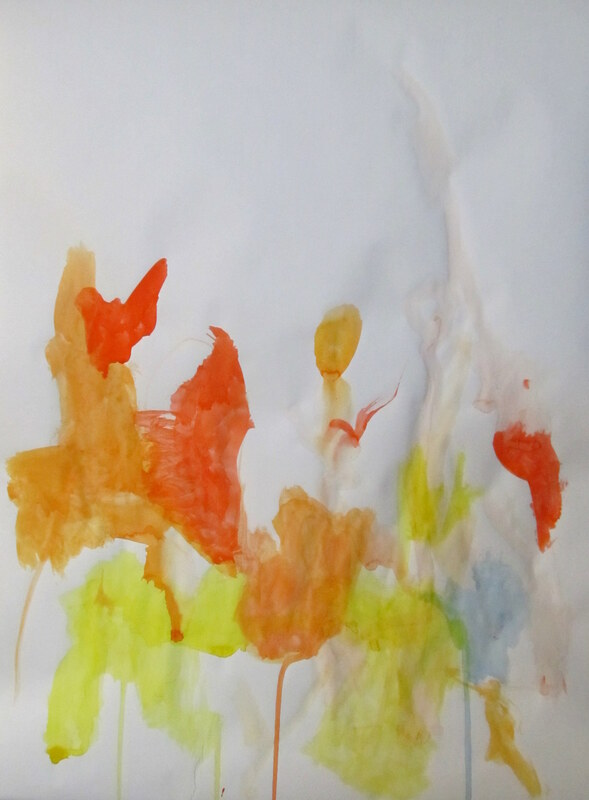 Poppy’s painting is great too, it really does look like tulips, stems, fields, sunshine and butterflies! I really like the soft colors that Poppy used in her painting, it really does look like a Morris Louis piece! Way to go Poppy!